Hydro-Lyn is a diet pill you can buy online, but won’t find in any pharmacies or shops. 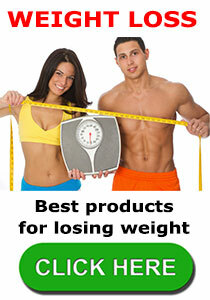 Buying diet pills online has its advantages because there is no need to make a snap decision. There is plenty of time to read the supplement facts and do a little research if necessary. However, some diet pill manufacturers provide so little information about their products, dieters are unable to do any research. That’s the case with Hydro-Lyn, the product description is only one sentence long and contains no useful information at all. Like the majority of diet pills, Hydro-Lyn is designed to suppress the appetite and boost the metabolism. This should allow people to eat less food without feeling hungry. When the food intake is reduced the body get less calories and, if it does not have enough calories to give it the energy it needs, the body will start to burn fat instead. The metabolism controls the speed at which calories are used. Diet pills that boost the metabolism make the body burn calories faster and this will further increase the need to burn fat instead. However, the claim that Hydro-Lyn increases fat loss by 100% is ridiculous. If someone was losing one pound of fat a month and they then began losing two pounds per month, fat loss would have been increased by 100%, but the increase would be negligible. If someone was losing 25 pounds of fat per month, a 100% increase could only be achieved if their fat loss was increased to 50 pounds per month. 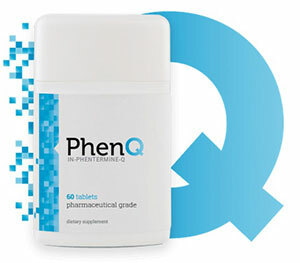 Even top-rated diet pills like PhenQ would be incapable of delivering such an increase. Nutrition Labz does not provide any information about the ingredients used in the product. Presumably this will be printed on the label, but customers can only buy this product online and will not be able to take a look at the label until they are holding the bottle in their hand. Then if they notice the formulation contains something they know to be dangerous or that they are allergic to, or do not tolerate well, they will be unable to use the pills and a refund will not be available because there is no guarantee. In keeping with the general lack of information regarding this product, the usage guidelines are hazy at best: “1 cap once daily before or after breakfast”. We were only able to find one customer review for this product and the reviewer had awarded it five stars. The big problem is it was posted on the product sales page. Reviews that are supplied by manufacturers are apt to be biased, so they are best taken with a dose of salt. Even if the review is genuine, one person’s experience with a product is not enough to provide a genuine insight into the benefits it can provide and/or the side effects it may cause. 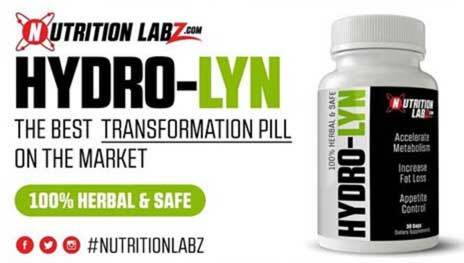 Nutrition Labz claim Hydro-Lyn has been subjected to clinical trials that have shown “it is safe and has no side effects, no rebound, or diarrhea”, but they fail to provide any proof to back this up. Without an indication of where and when the trials were conducted, and by whom, it’s just a lot of hot air. The truth of the matter is, this product could contain anything. There is no way of knowing what’s inside the pills because Nutrition Labz fails to supply a list of ingredients. Bearing this in mind, we suggest all potential users ask their doctor’s opinion before using this product. Hydro-Lyn is one of a number of dietary supplements brought to market by Nutrition Labz. We were unable to find out anything about the company at all. It could be that they manufacture their own products, but it is also possible they are only a distributor of re-branded supplements obtained from a manufacturer that provides white label products. There are 30 capsules in a bottle of Hydro-Lyn and the cost per bottle is $64.99. There is no money back guarantee, and customer services are only available via an online form and Facebook chat. Hydro-Lyn is an expensive product, there is no proof that it can do anything the manufacturer says it will and, if it does not, a refund won’t be on the cards. The lack of an ingredient profile means there is no way customers can ascertain if the product is likely to make them feel ill. There is no way on earth we could recommend Hydro-Lyn, so we suggest people who need to lose weight consider using one of the products from our list of approved diet pills instead. All of them are produced by reputable manufacturers, have good customer reviews, are considerably cheaper than Hydro-Lyn, and are backed by a money back guarantee. This entry was posted in Appetite Suppressants and tagged Hydro-Lyn Cost, Hydro-Lyn Negatives, Hydro-Lyn Results, Hydro-Lyn Shopper Drug Mart, Hydro-Lyn Stockists by admin. Bookmark the permalink.